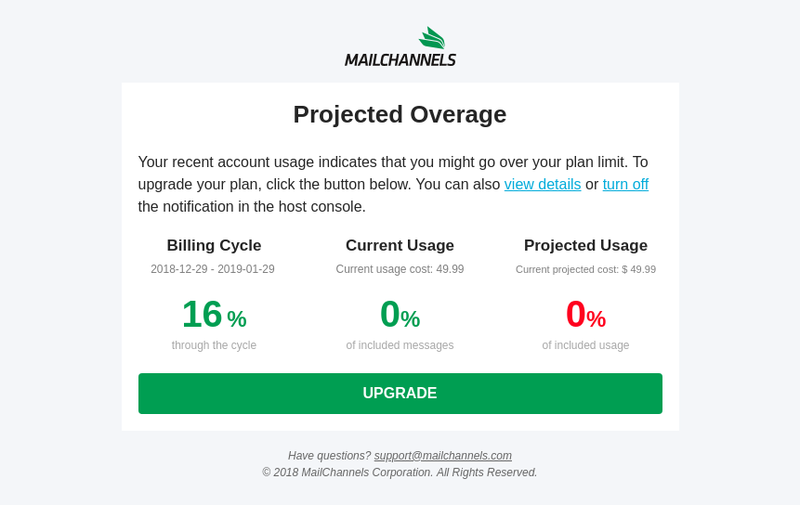 Outbound Filtering customers will now receive a daily usage notification when your daily usage is projected to exceed the base number of messages included in your plan. This will help avoid any billing surprises at the end of the billing cycle and should give you an opportunity to address any abuse and/or upgrade to a larger plan. Notifications can be enabled on a per-user basis in the Console User section of the Account Settings or under your personal settings. Hosts can view the logs for their customers’ domains, allowing them to assist with abuse and deliverability issues. 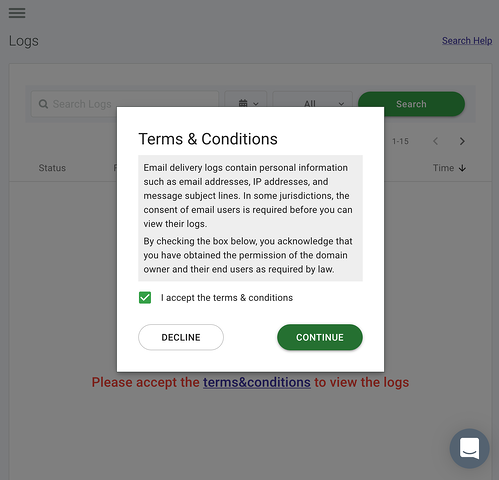 During the initial access to the logs, you will be presented with Terms & Conditions acknowledging that you have previously obtained consent from your customer to access the logs. This step is to ensure guidelines are met in respect to GDPR and other international privacy laws. 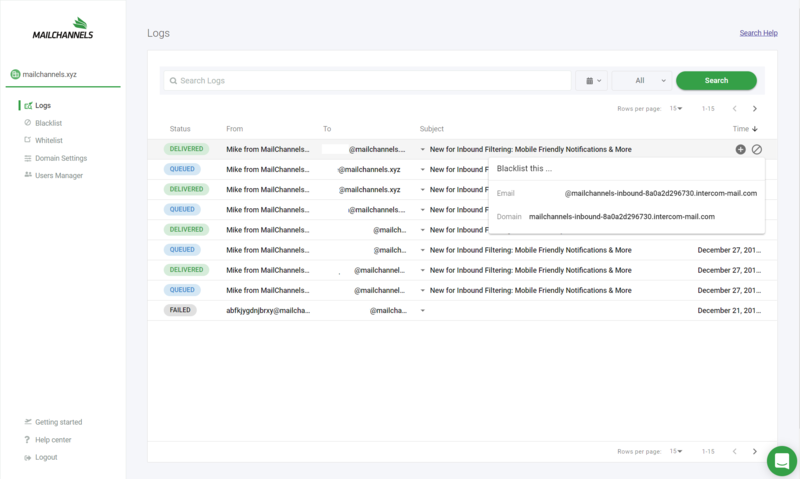 Every MailChannels Outbound Filtering subscription lets you add Inbound Filtering to protect up to five domains for free. If you’re new to MailChannels, contact our sales team for a free 15-day trial.